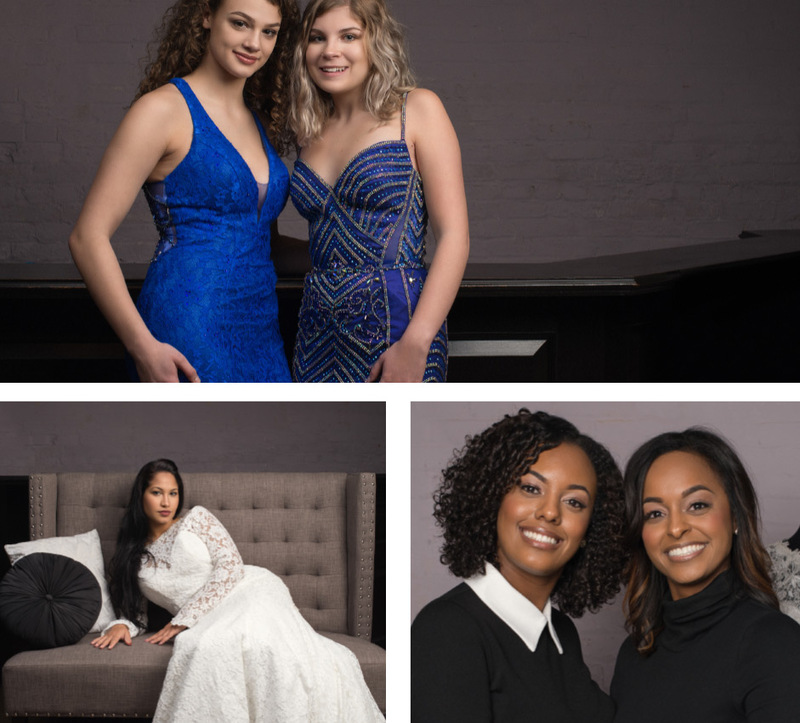 Meet sisters Angelica Friend and Bobbi Friend-Buchmyer, the creatives behind Twice Upscale Resale, York’s only resale bridal and formal wear consignment boutique. Now entering its fifth year of serving Central Pennsylvania, Twice Upscale Resale offers a sensibly chic way to shop for formal wear current with today’s trends. “We wanted to keep our prices affordable yet still offer the level of quality that you’d expect to find at an upscale boutique — something for every personality and size,” Angelica says. Thanks to the support of more than 2,000 consignors, Twice Upscale Resale is able to offer an ever-changing inventory of new and gently used wedding gowns, mother-of-the-bride gowns, flower girl dresses, special occasion formal wear, prom and homecoming gowns, and accessories. 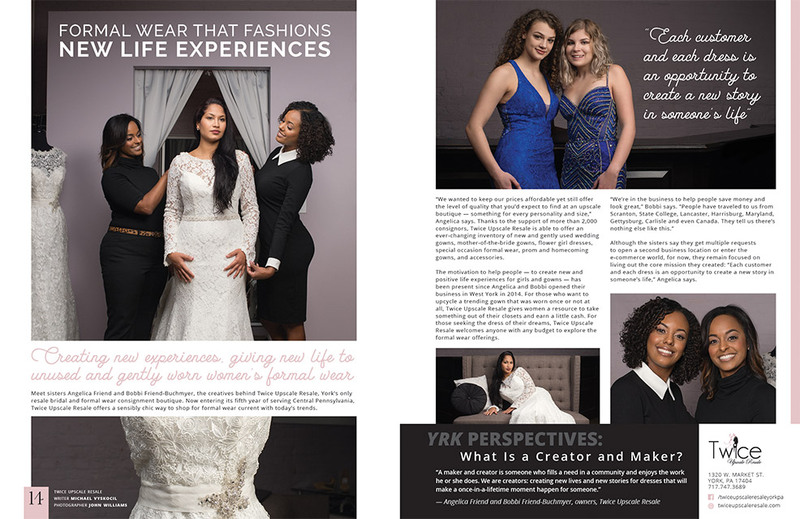 The motivation to help people — to create new and positive life experiences for girls and gowns — has been present since Angelica and Bobbi opened their business in West York in 2014. For those who want to upcycle a trending gown that was worn once or not at all, Twice Upscale Resale gives women a resource to take something out of their closets and earn a little cash. For those seeking the dress of their dreams, Twice Upscale Resale welcomes anyone with any budget to explore the formal wear offerings. 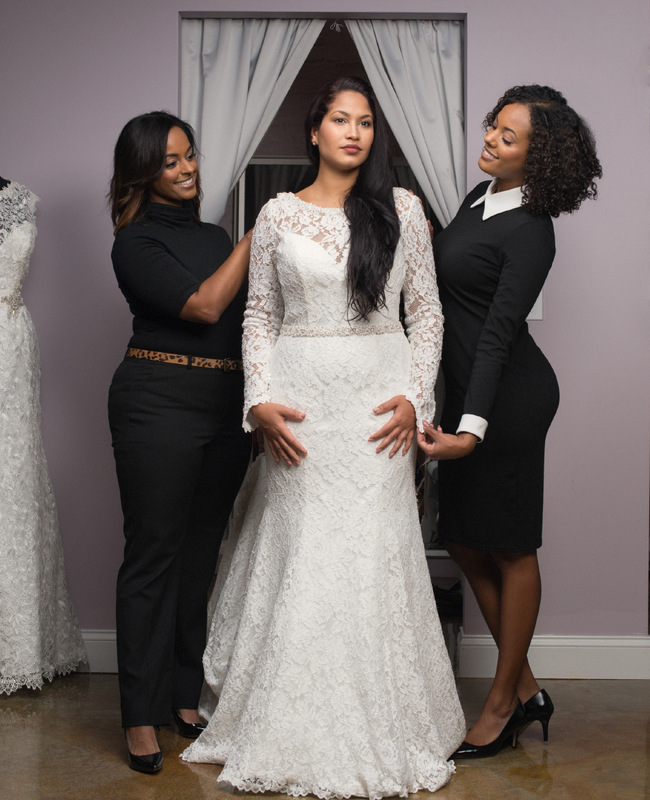 Although the sisters say they get multiple requests to open a second business location or enter the e-commerce world, for now, they remain focused on living out the core mission they created: “Each customer and each dress is an opportunity to create a new story in someone’s life,” Angelica says.